HP has taken the wraps off its updated EliteBook commercial notebooks and ZBook workstations for 2018. Apart from the beefed-up internals and stylish looks, the new EliteBooks have some interesting new features. So, let’s talk about each of these devices in detail. 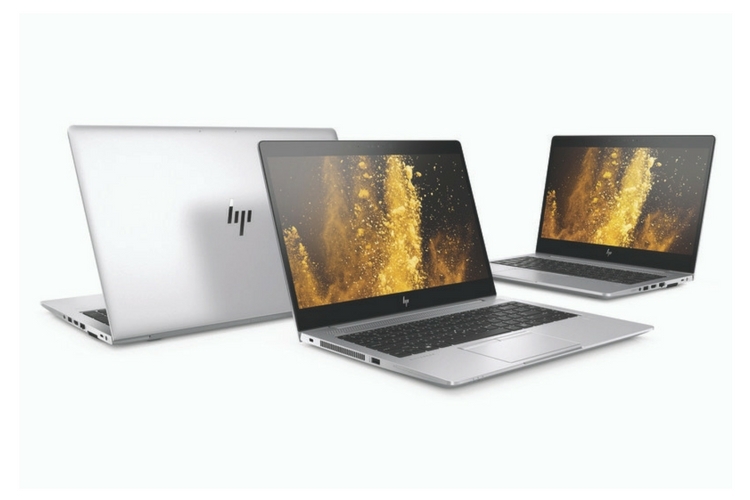 Coming to the EliteBooks, HP has unveiled three new machines – 13-inch EliteBook 820 G5, 14-inch 840 G5, and 15.6-inch 850G5. In terms of the design, they bring the same sleek aluminum styling which the 1000 series was known for. As always, there’s really not a lot to complain about the design. In terms of the hardware, the new EliteBooks have been updated to include Intel’s latest eighth-generation Core i5 and i7 processors. It is coupled with up to 32GB of RAM and up to 1TB of storage. The new laptops come with fast-charge capable batteries and HP promises up to 14 hours of battery life. You can also configure the EliteBook 840 and 850 G5 with discrete AMD Radeon RX450 graphics, which is not the most powerful solution in this segment. Coming to some of the interesting features, the new HP EliteBook 800 series notebooks have a “world-facing” microphones. 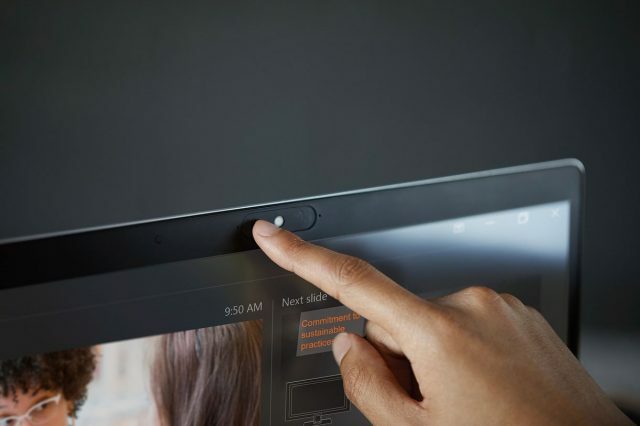 According to HP, this feature will help cut out noise during calls in “individual mode” or enhance 360-degree voice pickup in conference mode. Another interesting feature that stood out the most of new is a webcam cover. Yes, there is a small piece of metal on the webcam to ensure that you are not being watched while the webcam is not in use. Moving on to the Workstation segment, HP has unveiled new ZBook 14u and 15u portable workstations. Both feature Intel’s eighth-generation processors with quad-core CPUs, up to 32GB of RAM, and 1TB of storage. However, both the machines are packed with AMD Radeon Pro WX 3100 graphics for handling some GPU intensive tasks. According to HP, the new ZBook 14u is the “world’s thinnest workstation” at 17.9mm thick. It is about 28-percent thinner than previous generation notebooks. You can also configure the ZBooks with a 4k display or HP’s SureView integrated privacy screen at a 1080p resolution. 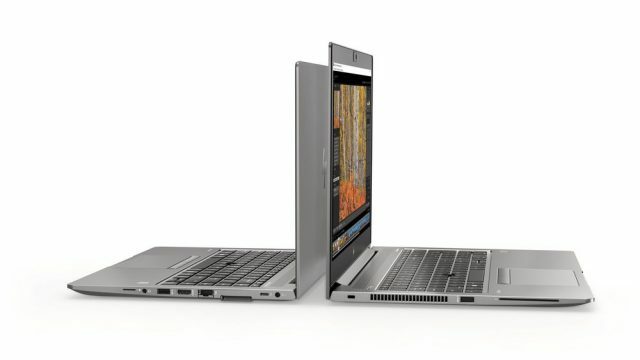 That being said, both the EliteBook and ZBook notebook line-ups are geared towards professional users. In fact, HP has also fitted all these new machines with a suite of security features like Windows Hello and the webcam cover mentioned earlier. Lastly, talking about the pricing and availability, the new HP EliteBook 800 series is expected to be available later in February starting at $1,029. The 840 and 850 models will cost $10,39, and $1,049 respectively. The ZBooks are also expected to arrive by the same time, and they will cost you $1,099 and $1,109 for the 14u G5 and 15u G5, respectively.